The primary goal of the great design is to deliver a solution to a problem with a positive experience that will meet people’s needs and improve their lives in an innovative way. These people, however, are not all the same and differ in location, cultural experience, lifestyle, and expectations. Great design is invisible; it is achieved by understanding people’s unique needs and challenging complexity. Travel helps us unravel that complexity by giving a fresh perspective to ideas as well as helping us experience issues that affect the world on a global scale. Even the experience of going from one place to another can be a learning opportunity to become a better designer. It’s the pervasive way that new experiences shape who we are as humans and as designers that travel facilitates. 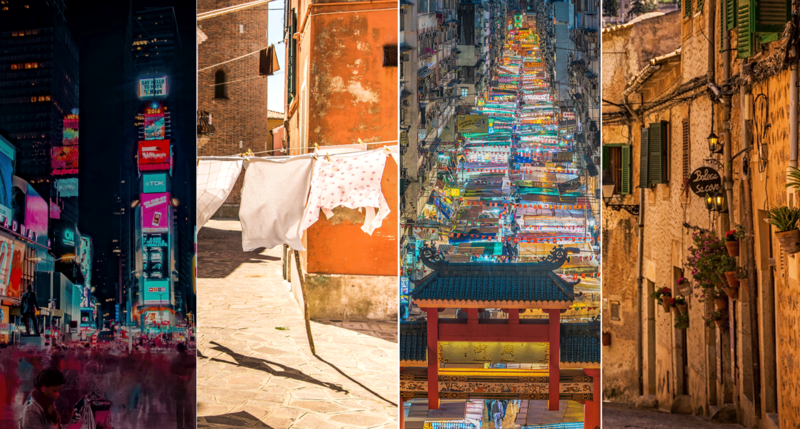 Travel offers a rich cultural exchange and cross-pollination of ideas to connect us with diversity. This diversity offers clues on how to become a better designer. Being in a new place is like being a blank canvas for experience—and having an open mind usually leads to generating the best ideas and executing the freshest designs. Forced to think on our feet when out of our comfort zone, we reflect on behaviors and expectations that may have otherwise been unconscious. Every place in the world has its own pace, advantages, and challenges that only become apparent when we are immersed in it. The subconscious signals we receive in frenetic, always-on cities like New York or Tokyo will differ greatly from more laid-back cultures like Madrid, Spain or Melbourne, Australia. Travel allows you to immerse yourself in different cultural contexts and meet users whose expectations of technology are shaped by that environment. By trading the familiar with new sights, sounds, flavors, and smells, we become more receptive to the world around us—we switch on and perceive things with fresh eyes and minds. By using a different part of our brain, and the fact that we’re kept on our toes, we’re more likely to approach problems in another way or come to alternative conclusions simply because we’re more connected to the world at that moment. Sometimes it’s in the details of our new environment—the way the architecture in Melbourne makes you dream of geometry and encourages you to rethink the grid of your latest website design or the way that a girl’s black hair shone in the sunshine with bluish tones, reminding you to add depth to your work. Travel broadens an understanding of whole ecosystems of human interaction and gives a comprehensive overview of how these oft-overlooked touches can completely change a mood, inspire a smile, and build a brand. The best brands and products have empathy, and they know exactly for whom they exist and how to deliver something people care about. When designing for people in a particular part of the world, it is essential to understand how their cultural context shapes their behavior, needs, emotional responses, and expectations. UX researchers can look at demographic data from afar, but there is nothing quite like being immersed in the user’s world to design culturally relevant solutions for them. A UI designer can imagine how users in different places expect interfaces to work, but they’ll learn so much more if they go there and see what the locals are actually using and how they’re using them. For example, a product team designing an interactive alarm (targeted for Berlin) which woke you up with live news and played your favorite music, only understood how the locals used technology, as well as their attitude towards it after living in Berlin for a while. Users will vary by cultural context, lifestyle, and other factors that will change how a designer should best meet their needs. After deep user research and testing, they discovered that people in Berlin had a tendency to turn off their smartphones as well as their WiFi during the night, which meant that their approach to the challenge changed significantly. They began building an experience which no longer relied on an internet connection to work, better matching existing behavioral patterns. In San Francisco, it’s easy to forget that not everyone has the latest smartphone in their pocket and that just 42.3% of the world is online. It would be a mistake for a design team to forget that not every city thrives on 24/7 connection and design a product for users in a different cultural context, in another part of the world that depends on a constant connection. It’s a global perspective that gives us local insight. Understanding regional differences improve our design process by helping us understand what technology people are using and how they are using it in their regional and cultural context. Being immersed in that context and receptive to the cultural cues enhances our empathy, guides us to find the right solutions and helps us become better designers. An app that delivers food on demand would work perfectly in a location where convenience, health, and efficiency are important, such as in Palo Alto or San Francisco. However, it may be a complete flop in cities like Taipei where eating is a social and communal experience, driven by street food and local availability. Waking up especially early one morning to catch a flight from Santiago to Atlanta, I found myself at the airport well before the flight departed. With time to kill, I ended up chatting with a woman who was on a trip around the world. We talked about her fascination with advertising in Metros/Subways in each of the cities she visited; how she learned most about cities through the way that products were advertised and how it affects a city’s silent voice and gives insight into what motivates people. 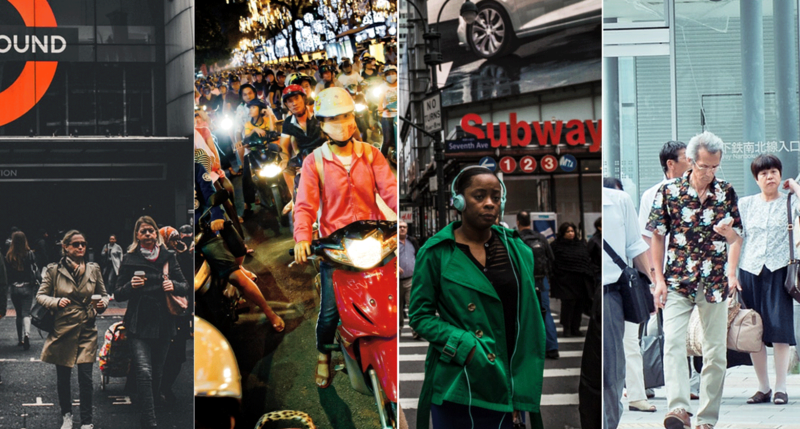 Advertising, signage, and other signals give insight into the culture and people of a city. Absorbing images like these can help you become a better graphic designer. 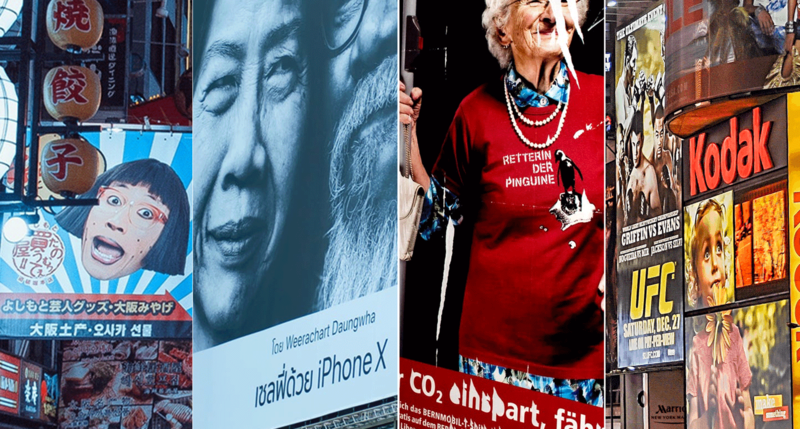 Without a doubt, advertising provides cultural clues which can help designers stay up to date with the latest trends, as well as provide insight into what motivates the people in a city. For instance, sitting in the back of an Uber, I counted the billboards along the desolate freeway during the journey from Silicon Valley to San Francisco. Visually sparse, I noticed a billboard campaign that had only a single line: “ask your developer,” with a small red Twilio logo at the bottom. The implication was clear. Non-developers would have to ask someone more “knowledgeable” than them to understand the billboard. This is just one example of what a campaign like this reveals about what drives San Francisco. Developers are clearly respected and in a position of influence, and the placement and content of the billboard show that there is a clear demographic inhabiting the city which consists of both business and technology. With ever-improving connectivity around the globe, it’s easier than ever to work from anywhere and reap the benefits of travel. Depending on your project, clients, and needs, fitting travel into your workflow can help you become a better designer. The design is one of many jobs in technology that allows you to travel. More and more companies have a workforce that’s entirely distributed, allowing designers and developers to work from anywhere. Having said that, many designers discover that freelance work—also giving the option to travel the globe—is easier to find. Connecting with freelance design projects on sites like Toptal allows designers to work from anywhere, and potentially find clients in the cities they would like to visit. The flexibility of opportunities like these opens up the world to design professionals everywhere. 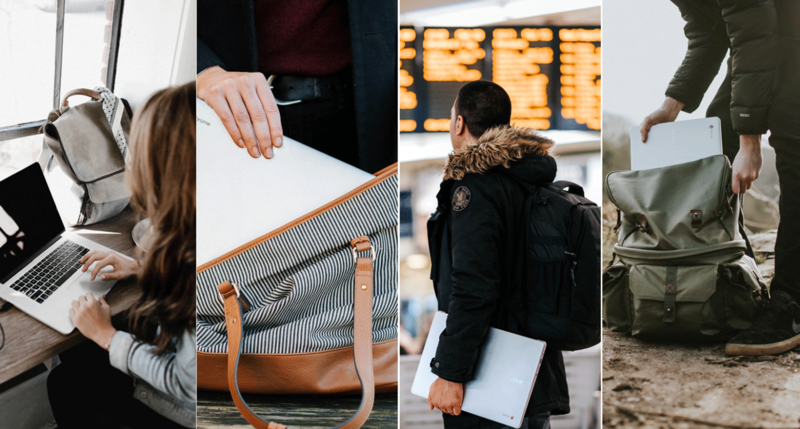 With portable tools and expanding connectivity around the world, many designers find they can work freelance and travel. The globe is your office. Even with the spread of easy internet connectivity worldwide, being on the road means that we can’t always be online. Rather than a disadvantage, this forced periodic disconnection helps maintain focus, because there is simply no time for online distractions. There are many ways to adapt one’s process for travel and finding the right workflow and the balance will make you more productive. With added productivity, we get to solutions faster and with less stress. We’re doing our minds as well as our clients’ products a favor. Plus, it’s been found that travel can actually make us happier and healthier. A change of scenery is also a great way to stimulate innovative thinking and get a designer out of a creative rut. Finding yourself in new surroundings, seeing new sights, hearing new sounds, meeting new people, and trying new experiences is sure to inspire a new perspective. Design solutions improve as we understand more about people, the world, and how we interact with technology. Sometimes it’s the small things in cities that give us big ideas and a new approach to problem-solving. Exploring is a huge part of the design and helps us come to outcomes which are both innovative and on-brief. Similarly, exploring the world means that in understanding global issues and cultures as well as being inspired by new locations, we can effectively translate those new ideas into a design that will delight the client as well as the people using your solution.